January 30, 2019  A new, eight-part Netflix series examines the complex aftermath of the 1994 killing spree — and offers a good reminder that history is vast, messy and ever-changing. 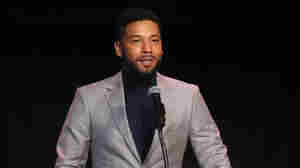 January 30, 2019  Jussie Smollett, one of the stars of the TV show Empire, reportedly was brutally attacked early Tuesday in what Chicago police are investigating as a possible hate crime. January 29, 2019  NPR's Ari Shapiro talks with Huffington Post writer Emma Gray about Monday's episode of The Bachelor, on which a contestant opened up about her sexual assault in an unusually frank and sensitive way. January 29, 2019  The star of the Fox drama was reportedly assaulted Tuesday in downtown Chicago. His attackers are said to have poured a chemical substance on him and wrapped a rope around his neck. 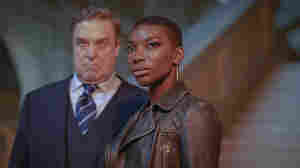 January 28, 2019  The latest take on the live musical format premiered Sunday night on Fox with a production of Rent, but a cast member injury forced Fox to air a taped dress rehearsal instead. 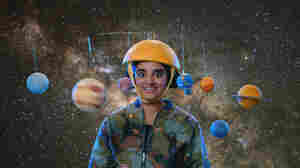 January 27, 2019  NPR's Lulu Garcia-Navarro talks to Sahana Srinivasan, host of the new children's television series Brainchild, about making science relatable. 'Insecure' Star Amanda Seales Takes The Stand-Up Stage In HBO's 'I Be Knowin"
January 26, 2019  With her new special, Seales hopes to cement her position as a trusted and thoughtful comedic voice that speaks to a demographic that she says has long been ignored: black women. January 25, 2019  Alda, who spoke to Terry Gross in 1997, is being awarded the lifetime achievement award by the Screen Actors Guild on Sunday for his humanitarian efforts and acting roles. January 25, 2019  In 2018, Wood explained how the years he spent performing in comedy clubs in the South and Midwest — sometimes in places where he felt unsafe as a black man — prepared him for The Daily Show. 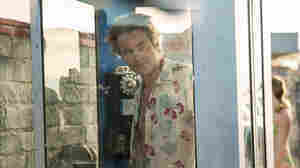 January 25, 2019  TNT's intriguing six-part series features Chris Pine as a washed-up newspaper reporter whose path collides with a teenage girl searching for the truth about her past. January 25, 2019  Black Earth Rising is a fictional thriller about the modern repercussions of the 1994 genocide in Rwanda. The series, which debuts Friday, offers a compelling look at the atrocity. January 25, 2019  The Web series, streaming on Facebook Watch, brings three women of different generations together to discuss emotional topics like mental health, racism, addiction, divorce and forgiveness. January 24, 2019  Broad City follows Abbi and Illana — two 20-something women finding their way but with a twist. The show has been critically acclaimed, celebrated and criticized for its brand of feminism. January 24, 2019  When their 13-year-old brother (Case Walker) becomes a YouTube star, directionless New Yorkers Brooke (Heléne Yorke) and Cary (Drew Tarver) reluctantly find themselves drawn into his entourage. January 21, 2019  Thrift stores are overwhelmed as people bring stuff in after watching Netflix's Tidying Up with Marie Kondo. NPR's Audie Cornish hears from New Yorker fashion columnist Rachel Syme about the trend.